Firemen Firefighters Movers University Park TX - MoveStar Inc.
University Park, located in Dallas County, Texas. is ranked as one of the most affluent cities in Texas. In addition, University Park is also ranked as Texas’ most educated city and has excellent schools. It is also home to Southern Methodist University, one of the most prominent higher learning institutions. The city has numerous amenities and recreation spots, as it operates approximately ten parks. If you plan to relocate to University Park, Movestar is the best choice to help you with all your moving needs. The company is owned and operated by off duty firefighters who are proficient in offering specialized moving services. For over 30 years, MoveStar has offered top of the line services to the Dallas area, and University Park is no exception. We have an A+ rating with the BBB and have been an accredited business since 1991. Are you short on time? Do you worry about not packing your valuables securely? Movestar can help. 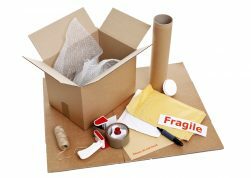 Movestar’s Professional Packers will pack your precious items properly to keep them safe for the move, saving you time and money. Ensuring your valuables arrive safely is Movestar’s priority. 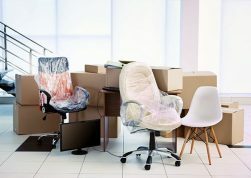 Are you moving to a smaller location or need to store valuables? Movestar has a top of the line storage facility where every item is catalogued, noting any items that require special care. You can ensure your item will be safe with us.